Affordable and Quick stump removal service in Bowmanville. 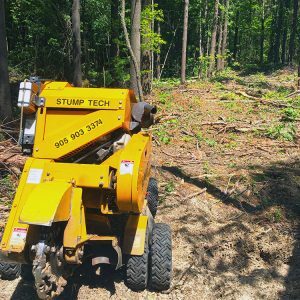 If winter storms, bad weather, or tree removal left some nasty stumps in your yard call StumpTech to get them taken care of. 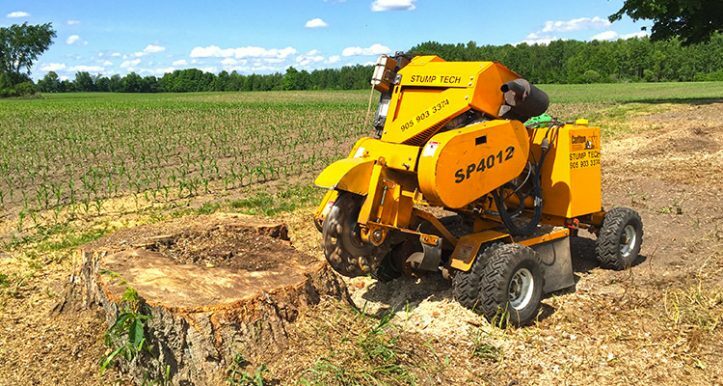 We have more than 5 years of experience when it comes to removing stumps. And we have more than 8 years of experience in the tree industry. Our technicians have the best training available and the best equipment too. The stump grinders and other equipment that they have can get rid of any size stump quickly. Our team can also remove stumps from any size property, even fenced property. As long as there is an opening that is at least 36” wide to get a stump grinder through our techs can remove the stump or stumps. It doesn’t matter if you need to get rid of one stump or multiple stumps our team of highly skilled technicians can handle it. From one stump to one hundred stumps on any size property our team of experts will be able to do the job quickly and affordably. Our technician that is writing the estimate may also ask you what you are going to use the cleared land for. That’s because it can make a difference in the amount of work that has to be done. If you’re going to pour cement over the area that won’t require as much as finish work as if you’re going to plant flowers there, for example. StumpTech has a minimum rate of $150 (+HST). 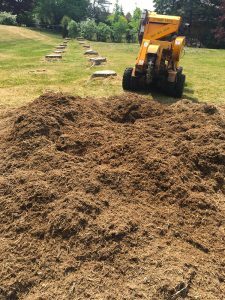 That is not a per stump fee, so if you have more than one stump that needs removal you may end up paying just the minimum fee for removing all the stumps. Why Hire A Professional Bowmanville Stump Removal Company? Homeowners often like to try and DIY a project using advice from the Internet in order to save themselves some money. And it’s easy to understand wanting to save money. But smart homeowners know that you’re not really saving money if you have to pay a professional to come and clean up the job after the DIY attempt has failed. Some things crafty homeowners can get away with doing themselves. But stump removal isn’t one of those things. If you don’t have the right equipment or the know how to remove stumps you can end up getting hurt, badly hurt, and also damaging your property. Don’t take the risk of damaging your property or getting hurt. Call StumpTech today to get a free estimate for stump removal service. Let our expert technicians use the experience and training they have to get rid of those stumps for you. The job will be done quickly and done right the first time. Then you’ll get to enjoy your yard without stumps without putting yourself in danger to remove the stumps. Let the experts handle it when it comes to things like stump removal.